Charting from paper forms to HR/EMR systems isn't accurate, efficient or secure. Our team works closely with Human Resources, Employee Health, and Information Services from hundreds of hospitals. We hear about compliance tracking challenges from every step of the process. Employee's need proof of compliance with HR policies to maintain employment. Infection Control needs access to data for accurate and timely reporting. Employee Health needs an efficient process to quickly return employees to work and Information Services needs all of this to occur in the most reliable and secure way. 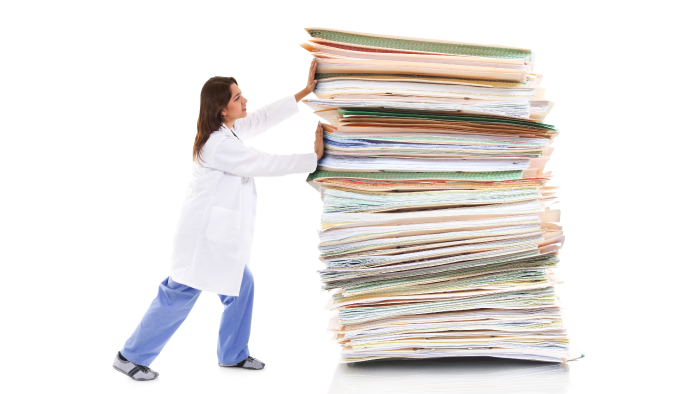 Paper is not the solution in today's healthcare environment. Do away with the laborious tasks associated with using paper forms. QYK Air can be configured to work with tablets, mobile devices, and laptops. It runs securely on your internal network and uses Single Sign-on for access management. ​​QYK Air allows compliance data to be transmitted in real-time to leadership and Infection Control. Reduce data entry errors and protect data integrity by using our QYK Management Console to generate import-friendly files for your existing HR and Employee Health Software.